The Crescent mall in HCMC’s District 7 will be put up for preview on January 28 by Phu My Hung Corporation (PMH) and Savills Vietnam as the exclusive leasing and management agent before the luxury property project is open for leasing, said the developer. This invitation-only retailer event will bring together representatives from selected international and quality local brands, according to PMH. Guests will have the opportunity to preview what the Crescent mall has to offer. The mall in Phu My Hung new urban town is set to be one of the first international-standard shopping malls in the country, and a destination of choice for shopping, dining and entertainment, according to the corporation. The event meant to kick off the leasing phase for the mall will introduce participants to a series of informative and entertainment activities. A gallery corner will showcase background information, marketing efforts and media coverage related to the project, while there will also be arrangements of site visit and musical performance. This event aims to ignite the confidence among potential retailers, according to a statement from the corporation. Scheduled to open at the end of 2011, the Crescent mall will accommodate 200 shops, a 6,000-square-meter supermarket, an international cuisine food court, an array of restaurants alfresco overlooking the water and multiplex cinema. The mall fronts onto an outdoor plaza and courtyard area with fountains and water features. This unique setting will host not only seasonal, sportive and cultural events of the community but also commercial events for the mall. 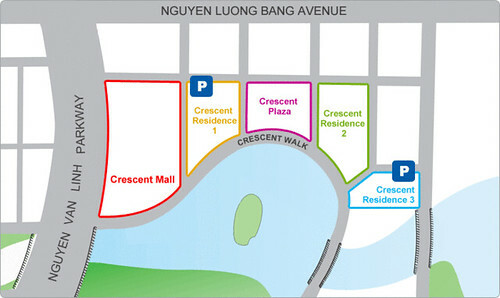 Located in the heart of Phu My Hung new city center, the Crescent mall is the centerpiece of the Crescent project. The first phase of the development containing 300 fully furnished serviced apartments, a world class office building and 50 retail shops is scheduled to be completed by April 2010. “We have been very pleased with the response from retailers who have expressed interest in being part of the Crescent project,” said Mark Farquhar, national director of retail of Savills Vietnam. “The Crescent has been successful in attracting ‘new to market’ international retailers such as the Singapore-based Boomarang and a number of the leading F&B retailers in Vietnam such as Ngoc Suong, Yeebo, and NYDC to name but a few,” he added in the statement. The Crescent project comprises four seven-story buildings, namely Crescent Residence 1, 2 and 3, Crescent plaza and Crescent mall. 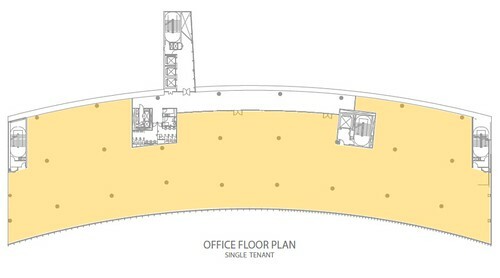 The ground floor and second floor of the first four buildings are for retail spaces. The project has total investment capital of around US$400 million. VNRE – The Crescent – an iconic waterside project located in the heart of Phu My Hung’s international commercial and financial district, is a fitting symbol of some of the finest architectural works in Ho Chi Minh City. The starlight pedestrian bridge begins the 700 metre Crescent Walk which flows past four uniquely designed buildings and Crescent Mall. 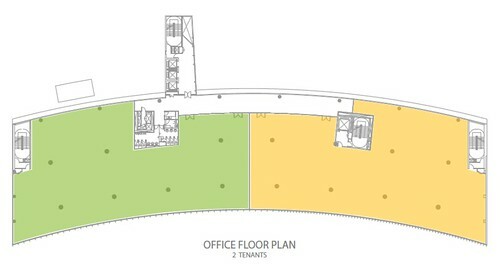 Three buildings provide stylish, fully furnished serviced apartments and the fourth offers premium office space. 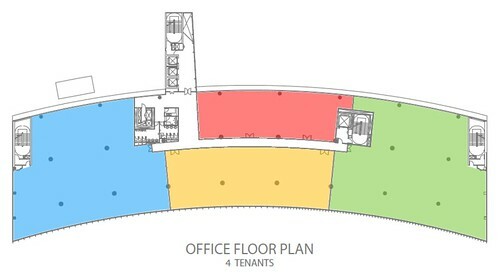 The ground floor and second floor of each building are retail spaces with a well-chosen tenancy mix for customers to enjoy the Crescent from early morning to late into the night. During the evening and weekends, the Crescent will be a traffic free zone allowing people to stroll and relax in spaciousness. Now the dream which was started with the March, 2008 ground-breaking has started taking shape, with a total investment of over $200 million. Crescent Residence 1 is the first building already in operation showcasing 122 premium apartments for lease. The Crescent in total houses approximately 300 stylish apartments. All of them are fully serviced and have access to a vast selection of facilities, including a swimming pool, fitness centre, children’s play ground and squash court and are in close proximity to important hot spots such as international schools, the FV international hospital, golf course, driving range, tennis courts, walking tracks and much, much more. According to Savills Vietnam, the exclusive leasing and management agent for the Crescent project, the interest and take up of this building has been very encouraging. 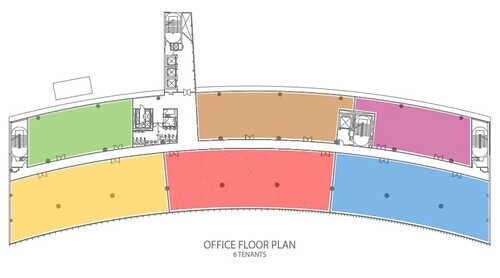 Situated beside Crescent Residence 1, Crescent Plaza, a seven-story world class office building is now available. Standing centre stage in the development, Crescent Plaza commands superb views over the waterside with each floor plate ranging from 1,700 square metres to 2,200sqm totaling over 10,000sqm in premium office space. The other two buildings are currently under construction and are targeted to launch by April. Additionally, the Crescent project features 22,000sqm retail strip with a huge mix of restaurants, bars, specialty shops and a giant size bookstore along a waterside boardwalk. The starlight bridge provides a linkage between the Crescent and Phu My Hung’s canal district. A lighted path and illuminated waterfall, the bridge itself is a scenic feature and is anticipated to draw a lot of visitors upon its completion in early March 2010. 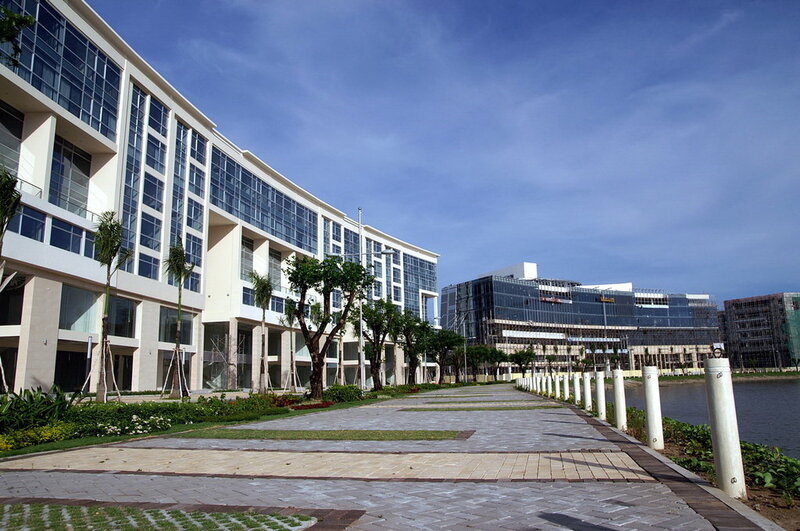 Sitting along a beautiful river promenade with a fresh cool breeze flowing all the time, the Crescent is an architectural symphony which perfectly harmonises with the natural setting to create a choice destination for the residents, customers, guests and visitors to enjoy a brand new lifestyle. Crescent Mall, the centre piece of the Crescent development is currently under construction. Scheduled to open at the end of 2011, it is already the most anticipated shopping destination in Vietnam. “This will be a modern international shopping mall catering for the shopping and entertainment needs of the District 7 community and the overall population of Ho Chi Minh City,” vice chairman of Ho Chi Minh City People’s Committee Nguyen Trung Tin said at the ground-breaking ceremony in July, 2009. The city leaders expect that, this project upon its completion will meet the increasingly sophisticated needs of the local consumers. Containing approximately 200 specialty stores, a 6,000sqm supermarket, savory restaurants and alfresco cafes overlooking the water, an international food court with an array of cuisines, multiplex cinema and more, this is definitely the destination of choice for shopping, dining and entertainment. Crescent Mall fronts onto an outdoor plaza and courtyard area with fountains and water features. This will be the major event venue for various activities on public holidays and annual festivals. Customers will lavish the perfect escape from the hustle and bustle of the city. As the first of its kind in Vietnam, the Mall will prove to be hugely popular with locals. With an abundance of selected international and domestic quality brands, plentiful dining choices as well as the open and comfortable surround environment, the Mall promises to be a lifestyle experience which can’t be found elsewhere in Vietnam. 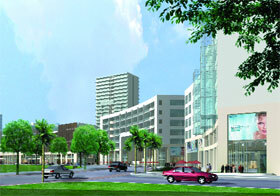 With its unique waterfront location and world-class design, Crescent Mall is anticipated to be a shopping, dining and entertainment mecca for all ages. According to Arthur Ting, board chairman of CT&D Group and Phu My Hung Corporation, creating a perfect lifestyle environment where families can live, work, shop and play is its first and foremost aim. With a total investment of over VND1.8 trillion ($100 million), Crescent Mall is a further step of the direct fulfillment of the promise made by Phu My Hung to the Ho Chi Minh City citizens to improve the quality of living. Fifteen years ago Skidmore Owings & Merrill – a renowned US architectural firm, developed the master plan for Saigon South. Since then the company has been constantly involved in the implementation of the overall plan. The Crescent concept has been materialised through several brainstorming and group discussions by the Phu My Hung Management Board, architects from over 12 countries, contractors and marketing consultants. The planning stage lasted for almost two years and comments from all participants were pieced together to complete the planning of the project in 2007. SOM’s John Kriken gave guidance to the planning team during the discussion to ensure that the alignment and harmony of the Crescent would fit with Saigon South Urban development. The Crescent is a special residential, commercial, and office complex in the City Center area of Phu My Hung New City Center. The complex is composed of four seven-level low rise buildings and one six-level international standard shopping mall located near Nguyen Van Linh Parkway. This unique identity is distinguished by a lake with a gently curving shoreline esplanade and a group of architecturally related buildings that form a crescent along the water’s edge. A green park will also be established on the other side of the bridge. The Starlight Bridge directly links the residential & commercial areas of the Garden Plaza, Panorama and Grand View and is lit with LED’s and an illuminated waterfall. The landscape and sidewalk have different levels of greenery area and pedestrian walkways. Overhanging trees will provide a comfortable, shaded environment for pedestrians while rest or seating areas, feature lighting, and street furniture will be provided to create a beautiful, serene setting. The Crescent buildings contain retail shops, entertainment venues, restaurants, offices, and serviced apartments. Nowhere else in Phu My Hung’s New City Center or Ho Chi Minh City will there be a comparable combination of uses and activities located in such a beautiful and memorable setting. The Crescent is intended to become the social heart of Phu My Hung’s New City Center and the first international standard multi-use complex in HCM City. Savills is a leading global real estate service provider listed on the London StockExchange. The company, established in 1855, has a rich heritage with unrivalled growth. It is acompany that leads rather than follows and now has over 180 offices and associates throughout the Americas, Europe, Asia Pacific, Africa and the Middle East. A unique combination of sector knowledge and entrepreneurial flair gives clientsaccess to real estate expertise of the highest calibre. We are regarded as an innovative thinking organisation backed up with excellent negotiating skills. Savillschooses to focus on a defined set of clients, therefore offering a premium service to organisations and individuals with whom we share a common goal. Savills is synonymous with high quality services and a premium brand, takes a long term view of real estate and invests in strategic relationships. In Vietnam, the company was established in 1995 and Savills merged with ChestertonPetty Vietnam in 2007. The company received a 100% foreign owned business license in October 1998 allowing us to provide a full range of property consultancy services in Vietnam. 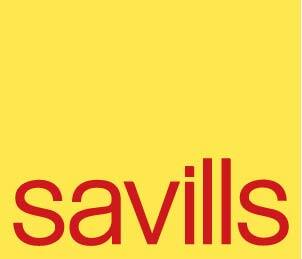 Savills Vietnam provides comprehensive agency, management and consultancy services. Our offices are in Hanoi, Ho Chi Minh City and Saigon South New Urban area, with over 380 staff including a large number of qualified expatriate professionals. Billed as Saigon’s new city center, the area of Phu My Hung has become synonymous with clean organized streets and modern infrastructure with excellent international facilities. Phu My Hung New City Center has been a location of choice for many of the affluent Vietnamese and expatriates wanting a trouble free existence while living and working in Vietnam. The area is unique as it is complimented by Phu My Hung’s own security force adding that extra feeling safety and peace of mind. The area is always immaculately kept by our environmental management team and landscape specialists with whom continually beautify the area with lovely plants and trees. The Franco-Vietnamese hospital is also located here being the first international hospital to Vietnam. There is a wide variety of shops and retail outlets a vast array of restaurants and bars within the area including some supermarkets: Co-op Mart, Fivi Mart, Citi Mart, and Lotte Mart. For the more adventurous there is also a local wet market for seriously fresh produce. For entertainment, there is an 8-screen cinema, MegaStar (check more information on http://megastarmedia.net), on 5F of Paragon which is a Department Store within three minutes walking distance from the Crescent. The infrastructure continues to grow with the completion of the Phu My Bridge connecting District 2 is expected at the end of 2009 and Phase 2 of Saigon Exhibition & Convention Center is underway. Commercial office growth is expanding significantly in the area due to a number of multi-national companies moving into the area including the country Headquarters of Manulife and Unilever. 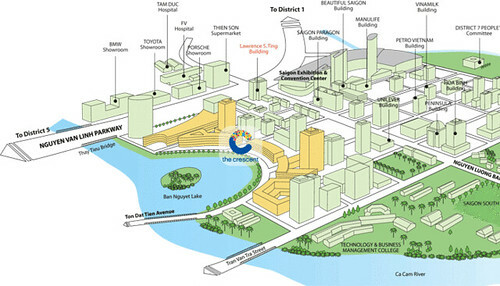 The area offers a cleaner fresher prospective for the working environment and free from the intensity of District 1. Sporting facilities are readily available here with tennis courts, golf driving range, and a flood lit par 3 nine-hole golf course. This is also a safe area for running, cycling, and getting out and about. Skidmore, Owings and Merrill LLP (SOM) was established in 1936 in Chicago. Major past projects include the Manhattan House (1950), designated as a New York City landmark in 2007; as well as the Air Force Academy Chapel (1958) in Colorado Springs; and the John Hancock Center (1969) and Sears Tower (1973) in Chicago. In addition to architectural services, SOM has also competed in the field of large scale planning programs. An example of one important commission was as the lead design firm for the Boston Transportation Planning Review, a metropolitan wide re-design of Boston’s entire transit and roadway infrastructure in the 1970s. They have recently designed the Freedom Tower in New York City and the Burj Dubai in Dubai, United Arab Emirates. Design International is a globally-based boutique design firm with offices in Toronto, London, Jakarta, Milan, Mumbai and Abu Dhabi. The company’s 35-year history of award-winning experience includes projects of every imaginable scale from urban mixed-use developments to groundbreaking research projects. The company’s integrated approach combining experienced planning with international market research provides master planning and architectural services that maximize the full value of a property. A good plan is the foundation of any successful development. By elevating a project’s efficiency and realizing the full potential of its synergies, D.I. produces master plans that are as much destinations as viable investments. Architect Ngo Quan Hien is the founder of NQH Architects. He is a Vietnamese American who was born in Saigon and received his professional training at The Southern California Institute of Architecture in the United States of America, which he graduated from in 1993. With the internationally acclaimed firm of Kenzo Tange Associates (KTA) in Tokyo, he has contributed to several urban design projects and unique building design all over the world for several years. In 1997, he initially established the NQH Design Studio in Vietnam starting with the Saigon South New City Center Detail Master Plan and the first prototype of Row House design. Since then, NQH has contributed and created varieties of urban and architecture projects throughout Vietnam and in China. The company has won several international competitions and has received the top ten architecture award from BCI Asia Group for the past four years. Ryoji Terajima was born in 1951 in Japan and received a Master of Engineering in Architecture from Waseda University in Japan, and a Master of Architecture and a Master of City Planning from the University of Pennsylvania in the United States. He has worked for 23 years at Kenzo Tange Associates, 14 of which as a Managing Director, after which he founded RTA・Associates in 2006 in Tokyo. As the Principal & Founder of RTA・Associates, Ryoji Terajima has completed the renovation design, landscape design, and the interior design of a serviced apartment/hotel project in Shanghai as well as the design of high-rise, mixed-use developments and residential complexes in Vietnam. Mr. Korn is the founder of KORN Architekten, which has been involved in major projects in both architecture and urban planning throughout Europe and Southeast Asia. Following 3 years of practice with Frank O. Gehry Inc. / California as architect for the new Philharmonic Concert Hall in Los Angeles and other projects, Mr. Korn founded Korn Architekten in Germany in 1995, with a focus on high-profile design. Mr. Korn’s expertise ranges from several shopping center designs, high-profile historical preservation projects and office buildings in Germany, Holland and Spain to master plans for 3 new urban areas and more than 10 high-rise projects in Vietnam. He was involved in all stages of design from concept to construction documentation in all these projects. His 8-years of experience in Vietnam has made him aware of the special local challenges of construction projects. Mr. Norihiko Kudo is the principal consultant/designer in K Y T A Architects (Singapore), with over 35 years of experience working on projects ranging from master planning to architectural commissions, from residential, government offices, and schools to civil projects. The architect, Mr. Tan Gek Meng, has had almost 25 years of experience working on projects in various countries, especially in Indochina and Asia. He is particularly familiar with Vietnam and is thus well-versed with Vietnamese legislation and the local culture. Together with a team of Vietnamese architects from all over Vietnam, K Y T A brings with them the ability to provide balance in any design solution by addressing local sensitivities and balancing those with a more global and international worldview and innovation in design. Crescent Plaza is at the heart of the Crescent. An imposing 8 storey building spanning one hundred and four of the seven hundred metre boardwalk this architecturally striking design will be the envy of many. The Plaza will provide the most spectacular office entrance reception of any building in Vietnam. With only four floors at 2000 m2 a floor overlooking the water, exclusivity is a given. This is undeniably a location of choice for both multinational headquarters and large national companies. Increased staff motivation and productivity will be evident by working in the Crescent, the environment, places to walk, relax, shop, eat and drink. Ample car and bike parking is available to employees, stable power from Hiep Phuc power is at the building and back up power should it be needed is in the building. Crescent Plaza is at the heart of the Crescent. An imposing 8 storey building spanning one hundred and four of the seven hundred meter boardwalk this architecturally striking design will be the envy of many. The Plaza will provide the most spectacular office entrance reception of any building in Vietnam.